It has been a rough 24 hours for Jon Jones. Earlier on Tuesday his cat threw up on his bare feet while doing a video call. Then, about eight hours later his Twitter feed blew up again over something he had nothing to do with. Let me take a step back. I’m not talking about Jon Jones, the MMA fighter. I’m talking about Jon Jones, the self-described “tech geek, game developer, cat fancier, and author.” However, it is the more-well-known Jon Jones who is responsible for the author’s social-media headache. You see, it was reported on Tuesday evening that Jones, the UFC light heavyweight champion, had failed a drug test on the night of his UFC 214 win over Daniel Cormier. He reportedly tested positive for Turinabol, an anabolic steroid and could be suspended for up to four years. Unfortunately for Jones, the lover of cats, he owns the eponymous Twitter account @JonJones. This led to some confusion, something he is apparently used to every time the fighter gets in trouble, which is often. It would seem that Jones, the author, is taking this in stride and digging in his heels for the long haul. Jones, the purple-haired tech geek, noted that this is not the first time this has happened, but it is the biggest. There is even a Tumblr account dedicated to “Wrong Jon Jones” tweets. 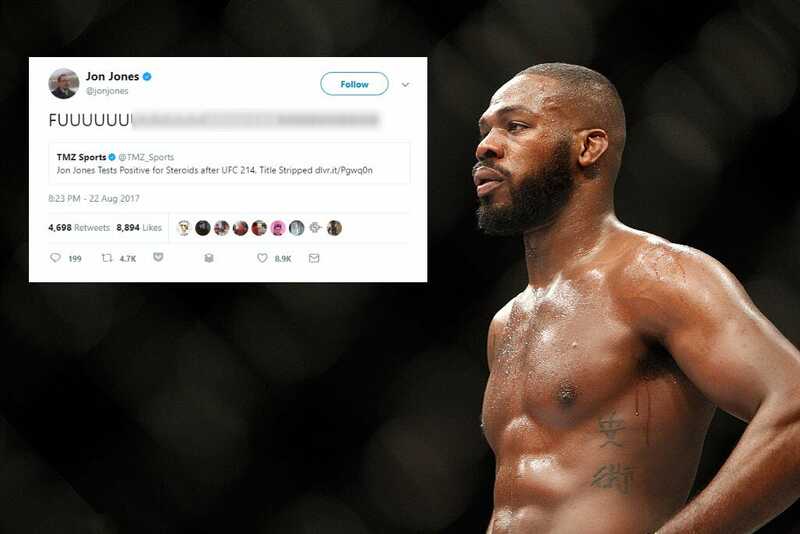 Of course, if Jones, the accused steroid user, is indeed suspended for four years, this may be the last time Jones, the game developer, gets slammed with “Wrong Jon Jones” tweets. OK, no joke, every time I refresh this page to screencap a tweet, my pageviews go crazy. I’m getting 30,000 impressions every 10 seconds.